“Upon starting the program, we decided that testing would need to be done to ensure that we are not dealing with disease or disorders causing the hair coat appearance. Infectious disease tests were performed first in my clinic. 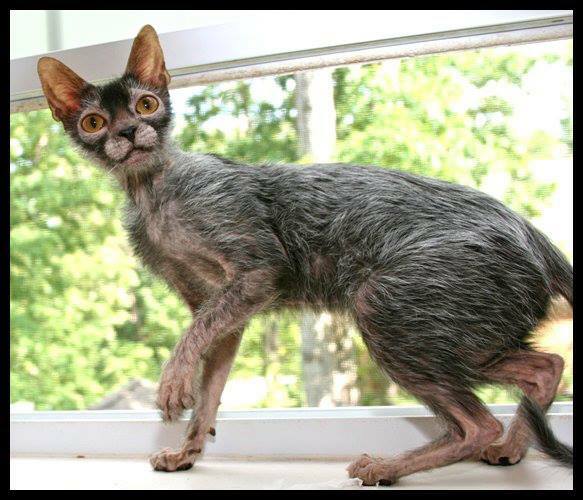 DNA testing was done by UC Davis to confirm that these cats do not carry the Sphynx/Devon gene. We also performed a DNA panel for genetic disease, color, and blood type. 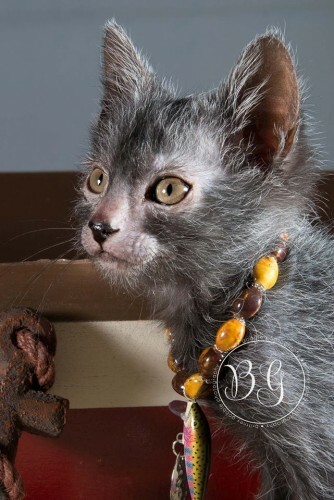 At the University of Tennessee, dermatologists examined them for any skin abnormalities (and they too fell in love with these cats and we have quite a fan club there!). Along with biopsy samples of the skin, the dermatologists could find no reason for the coat pattern. 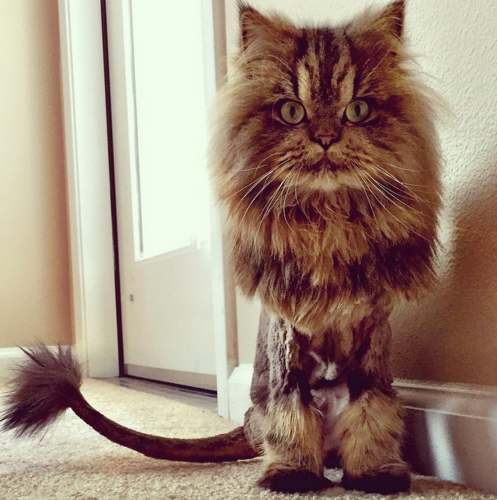 What they did find is that some hair follicles lacked all the necessary components required to create hair (which is why they lack an undercoat). 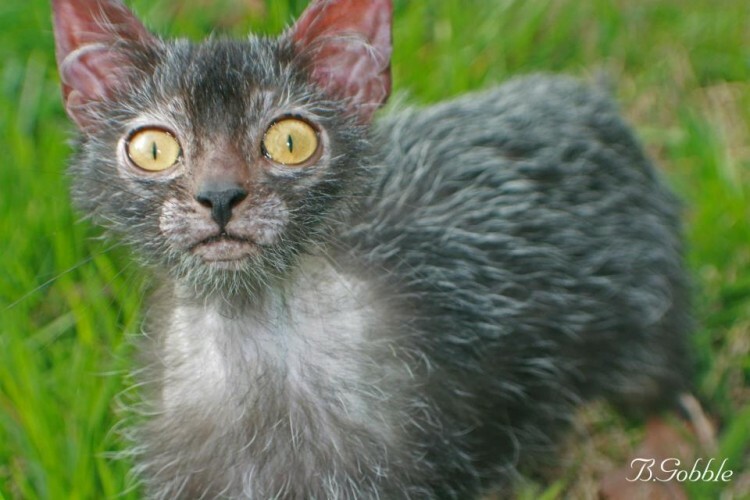 They also found that the follicles that were able to produce hair, lacked the proper balance of these components to maintain the hair (which is why the Lykoi do molt and become almost completely bald from time to time). Our cardiologist performed some cardiac scans to look for any structural problems with the heart. 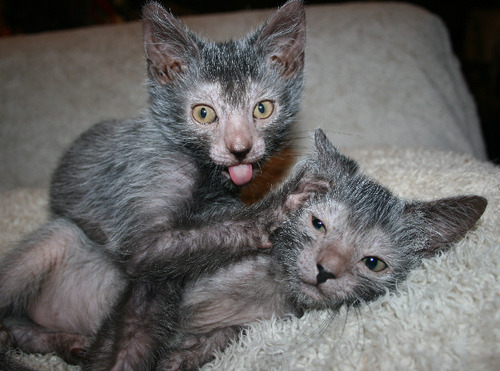 In 2012, the Lykoi went before the The International Cat Association (TICA) and were passed to “Registration Only” status. 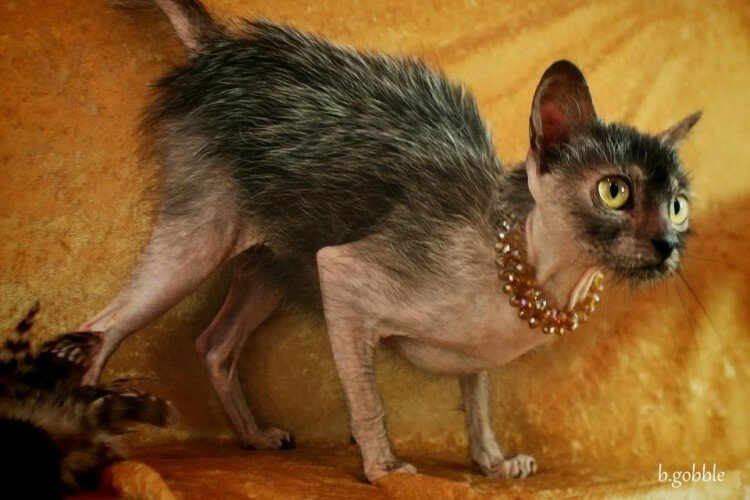 This means that they are now a recognized breed with TICA. 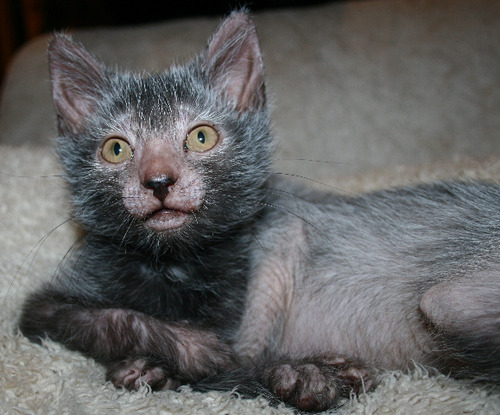 To learn more about Werewolf Cats, visit the website www.lykoicat.com and follow the Lykoi cats on Facebook. 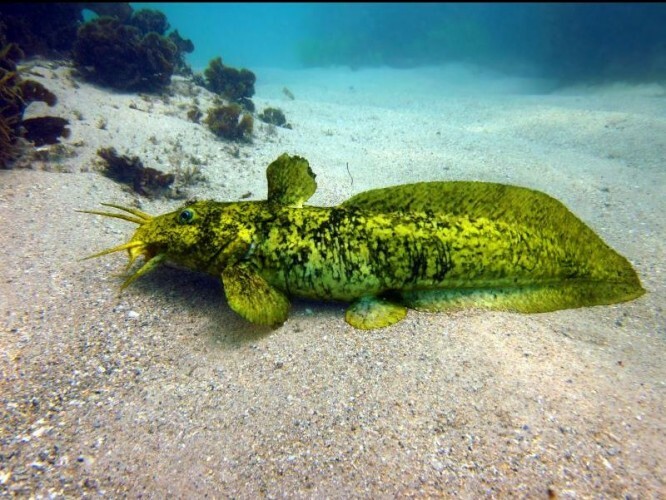 PreviousOogle this Google: Meet the Googly Eyes Fish of the Deep! Red Fox on Stilts? No, Just a Maned Wolf! Upgraded Water Bowl… Turns into Swimming Pool?